Your employees spend a minimum of 40 hours a week at the office. In some cases they spend more time at work than with their family or friends. Creating a welcoming and comfortable surrounding will go a long way towards creating a solid reputation as a top employer. Companies like Infosys and Google brought out the big guns. Infosys tries to foster a culture of fun by building a bowling alley into their office. Google built a slide so employees can literally slide from one floor down to the next. You don’t have to invest in pool table or place bean bag chairs throughout the office, it could be something as simple as daily fresh fruits and foods. Focus on making a comfortable environment that enables your employees to succeed. 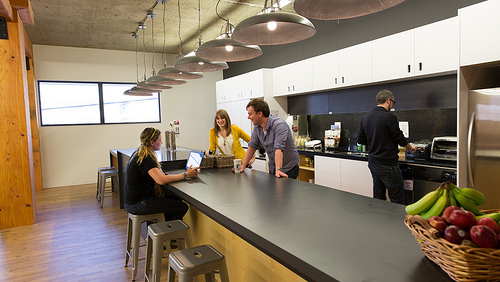 Hootsuite offers a full kitchen that is stocked with healthy organic foods and craft beers on tap. The common trend among the world’s top employers is their implementation of the flexible work schedule and the incorporation of new technologies that allows them to be more efficient. Allowing your employees to bring their own devices they are most comfortable with instead of forcing them to adopt and learn a new technology they don’t like to use. Create an environment that fosters creativity and promotes people to be healthy. 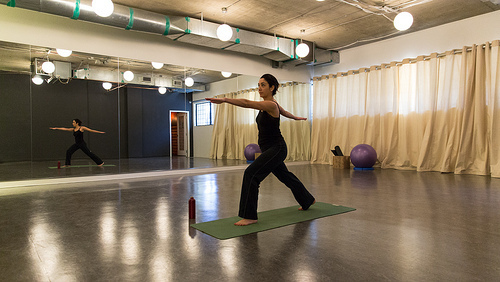 Some offices have yoga rooms or gyms. Although we have always repeatedly heard a valued employee is a more successful employee, it doesn’t seem to ever translate to an action. “According to CEB’s quarterly global market research. The No. 3 reason employees look to leave their employer in 2013 is respect.” Compensation and stability topped the chart but, respect is close behind. Barry Shwartz gives an eye-opening presentation at TED that expands Monetary versus Motivational recognition. Kevin Daum recently wrote “10 Things Really Amazing Bosses Do” which compares what good bosses will do versus amazing bosses. One comparison that stuck out was creating a culture that allows people to voice their concerns and frustrations.